Updated - Could 2018 possibly be any more dramatic, challenging, invigorating, and - sometimes - depressing than 2017? Absolutely. But one thing is for certain: earned media will be at the center of everything. Yes, of course, it’s been a tumultuous and difficult year. But that’s what makes the communications industry so exciting. If you can’t cope with constant change, fast-paced reactions, and nimble pivoting then communications and marketing is not for you. All of this has to be laced with a big dollop of forethought, strategic thinking, senior counsel, and the ability to occasionally pause and take stock rather than triggering kneejerk reactions. Effective PR pros activate on both ends of this spectrum and their skills have never been more in demand in an operating environment that is converging on earned media, which was also reflected in PRWeek's own higher profile in 2017. And I ended the year profiling PR legend and New York scion Howard Rubenstein to mark his induction into the PRWeek Hall of Fame. For a long time now, PRWeek's content has no longer started from a print perspective, though that channel is still very popular and provides many of our users with a monthly catch-up that still meets their content consumption preferences. Our focus now starts early every morning with the Breakfast Briefing, typically accessed via cell phone, and continues through the day with news, views, case studies, analysis, and data, backed by audio and video and numerous face-to-face opportunities - backed by our global reach and cross-brand collaboration with sister titles including Campaign and Medical Marketing & Media. Marino talks about his career on the client and agency sides and how he graduated from a pure PR role to running a business unit within the centuries' old brewing company. 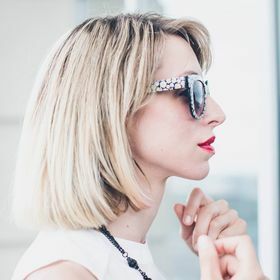 Crissibeth gave us a look under the hood of the new influencer space that is becoming increasingly influential in brand communications. To kick off 2018, she also dished practical tips on how to organize the perfect influencer event. 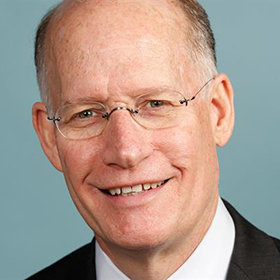 PRWeek caught up with Baer during the Sean Spicer era at a time when the White House communications function was under more scrutiny than ever. As a former WH comms director himself, Baer's insights were fascinating. 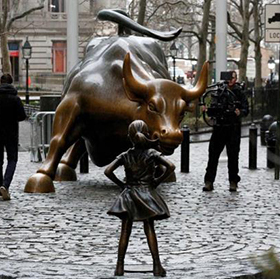 Fearless Girl was one of the campaigns of the year and PRWeek got an early insight into the groundbreaking program from the financial brand's head of NA PR, who has since been elevated to a lead comms role at John Hancock. 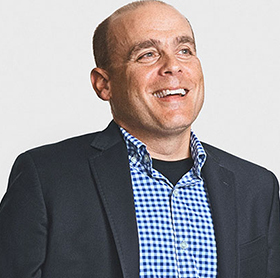 At IBM, Schwartz leads a new marcomms superpower: a top 10 global marketing services agency and number two digital network specializing in creative, digital, and analytics services for brands and businesses. 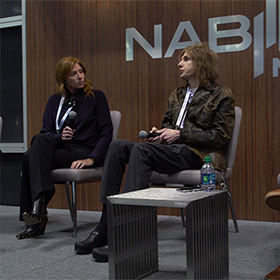 Creative mavens Daly and Hahn joined PRWeek at the NAB Show in NYC to discuss the rise of brand film in the marcomms world and how it integrates with overall brand marketing activations. President Trump and his supporters have doubled down on the "fake news" narrative all year, such that it is now part of the common lexicon and, in many quarters, a synonym for the mainstream media. Fake news is indeed a big problem, one that Facebook and Twitter are finally starting to tackle under the prompting of intense pressure from advertisers and users. But CNN, Fox, NBC, ABC, The New York Times, Washington Post, The Wall Street Journal, Time, and other mainstream media are not fake news. However, to maintain its credibility, mainstream media has to operate to the highest standards of accuracy and ethical standards. High-profile mistakes such as ABC's Brian Ross incorrectly reporting that former national security adviser Michael Flynn would testify the President directed him to contact Russian officials while Trump was a candidate – with no supporting evidence – speak directly to the fake news narrative. "It is vital we get the story right and retain the trust we have built with our audience — these are our core principles," said ABC in its statement of apology. "We fell far short of that." Indeed. In December, CNN also blotted its copybook with another story about Donald Trump the candidate that turned out to be untrue. The story suggested Trump and his son Donald Jr. had received an email giving them a web address and decryption key that enabled them to access hacked documents from WikiLeaks before they were publicly available. The network later stated: "CNN's initial reporting of the date on an email sent to members of the Trump campaign about Wikileaks documents, which was confirmed by two sources to CNN, was incorrect. We have updated our story to include the correct date, and present the proper context for the timing of email." Mainstream media has to do better than this in 2018 to maintain its credibility. One of the challenges in maintaining top-quality ethics and operating procedures is the ongoing pressure on media business models that has resulted in the decimation of newsrooms and disappearance of tens of thousands of journalists from the workforce. There are fewer journalists doing more work in a 24/7/365 environment – and that dynamic inevitable results in hasty publishing, less scrutiny of content, and more mistakes. ESPN shed 250 jobs this year and the network’s president, John Skipper, resigned this week, citing a "substance addiction" as the reason. The magazine industry has been devastated in 2017, leading to significant consolidation and many layoffs. Hearst acquired Rodale; Meredith subsumed Time Inc.; and Condé Nast laid off about 200 people and apparently lost $100 million in a terrible year for the glossy magazine giant. Even the previously hot digital pure-plays have had to face up to reality, with Mashable selling to Ziff Davis for a knockdown $50 million when it was valued at $250 million just two years ago. Subsequently, 30% of Mashable staff were let go as it transpired the site was in deep financial trouble before it was sold. New media darlings BuzzFeed and Vice are also missing their revenue projections for 2017. This is all despite the fact that the Interactive Advertising Bureau says overall digital advertising revenues rose to a record $40.1 billion in the first half of 2017, up 23% from the same period 12 months prior. Mobile accounted for 54% of these revenues, solidfying its status as the leading advertising platform on the web. For once, the view from a mainstream media b-to-b brand that went through a lot of this 10 years ago looks strangely comforting. It makes the PR industry's role in helping brands and organizations tell their stories even more important, with owned media company channels and influencers increasingly effective platforms for messaging and engagement with consumers and stakeholders. One of the problems with mainstream media is that reshaping business models is like turning around a tanker. The media outlets that are being successful in 2017 are nimble startups that have placed mobile and digital top of their priorities from the get-go. Axios – Mike Allen and Jim vandeHei’s spinoff from Politico has quickly become a must-read staple of people’s morning email content streams. Combining smart, snack-sized updates with intelligent insights and opinion, Axios epitomizes the modern media brand. It makes its revenue from sponsorships, face-to-face events, and a nascent premium offer, rather than relying on advertising. If you subscribe to just three morning emails - PRWeek’s Breakfast Briefing, Axios, and The New York Times – plus your horizontal subject matter sources, you will start your day suitably informed and educated. Quartz – Atlantic Media-owned Quartz is notable in that it has combined smart and intelligent content with effective distribution methods and a contrarian approach to advertising. Publisher Jay Lauf ended the year with an interesting note to staffers, which was also shared externally (internal being the first line of external communication), noting the advantages of launching in 2012 with a blank sheet of paper to draw upon, "unshackled from so many of the conventions that vexed other media companies trying to find their footing on the internet." Quartz’s approach to advertising is particularly notable. Lauf noted that the way advertising is planned, bought, and delivered has been as disrupted "as any corner of the economy," principally through aggregation and automation that buys target audiences culled from thousands of websites in a process that is supposed to "make buying those audiences more efficient." He points out that this is one of the things that has led to "blue-chip companies supporting fake news or otherwise questionable content they’ve allowed algorithms to place their ads alongside," and users being bombarded with annoyingly irrelevant and interruptive. Quartz has kicked back against this, insisting that advertisers customize their creative to fit Quartz’s design, the theory being that this demonstrates advertisers’ commitment to Quartz’s audience. I hope other media owners follow suit in 2018. By far my favorite piece of content this year was Vice Media’s Charlottesville: Race and Terror film, hosted by journalist Elle Reeve. I never thought I would see Nazi flags paraded openly in the streets of the United States, seemingly with the protection of the police department, and resulting confrontations that saw one attendee ramming his car into a crowd of counter-protesters and killing one of them. Reeve's film avoided the histrionics and sensationalism of other coverage and simply relied on proper reporting and spoke to some of the white nationalist marchers who had gathered in Virginia from all parts of the country. Her lack of partisanship and her willingness to let the subjects speak for themselves without adding editorial comment made the story so much more powerful. It shone a bright light on a frightneing underbelly of American society that has been newly empowered in today's febrile atmosphere. And it showed the continuing power of effective journlaism in dissecting important events. We need more of this in 2018. 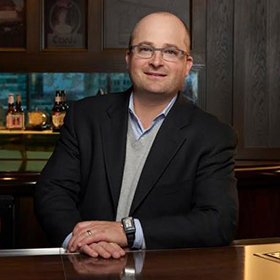 I may be late to the party on this one, but it’s a great story of a Wisconsin brewing company that tapped into modern tastes for healthy and tasty refreshment to help them through the day, subsequently selling the brand to National Beverage Corp. In a market where soda sales are declining, sales of LaCroix have boomed without any traditional advertising support. It focused on social media, allowing its trendy following to spread the news by word of mouth, and maximized the impact of its colorful packaging and innovative flavors. The plucky outsider is taking market share from soft-drink giants such as Coca-Cola and Pepsi and is definitely a CPG brand communications and marketing case study to learn from. Omnicom CEO John Wren certainly ruffled a few feathers internally and raised eyebrows externally in July when he told analysts his holding company's PR firms, which include FleishmanHillard, Ketchum, Porter Novelli, and Marina Maher Communications, needed more "hunters" and fewer "farmers" - presumably suggesting they should adopt a more aggressive approach to the market. He doubled down on this in October when he observed that people in his PR group are "changing the product to meet the market," with "probably one unit in particular where there still has to be more management changes which haven't occurred yet," though he wasn't specific about which company he was referring to. In November, Barri Rafferty was named global CEO of Ketchum, effective January 1, 2018. Rafferty becomes the first woman to head a top five global PR firm. This is a significant milestone in the history of the industry. I predict Rafferty's promotion will be a tipping point that presages the elevation of other senior female PR agency executives to the top job in the coming years, with, for example, people such as Gail Heimann in pole position to take over at Weber Shandwick when the time is right.